No idea what to buy a special friend ot relative for holiday gift giving? A gift basket that encourages relaxation, especially during this busy time of year, is the perfect gift! Michaels, Homegoods, or Marshalls have nice selections of decorative boxes. Add a cozy pair of slipper sox or a pair of Snoozie slippers are wonderful! An attractive mug with a box of herbal tea or a favorite bottle of wine speaks comfort. Don't forget chocolates for chocolate lovers. How about a yummy bar of Godiva Chocolate? Or, think "spa delights" and find a pretty bar of scented soap, hand/foot moisturizing creams, a lavendar candle, a journal, or bath beads. Most important, for readers, add a good book, or maybe two or three! My newest Christmas novella, Blessings and the Thief, has sweet romance, humor, and an inspiring message. Reviewers call it, delightful! It's a story that reminds us of the importance of family and friends. What could be more special than a gift basket filled with thoughtful and restful gifts? Order Blessings and the Thief on Amazon in print or ebook for hours of relaxing reading. A Holiday Novella to Warm your Spirit! 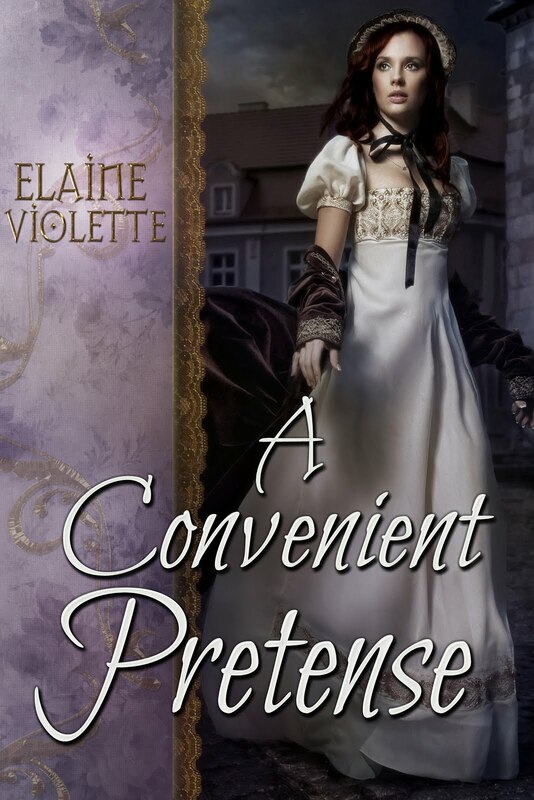 Expect romance, mystery, mischief, and a bit of ghostly humor too. Curl up in your favorite chair and enjoy! “Relax by the fire with this wonderfully crafted Regency Christmas story spiked with romance and a bit of mystery. The book instantly brings you into the moment when a sleigh load of good friends arrive in a snowstorm, excited about sharing the holiday in an inn said to be haunted by mischievous ghosts. When the host is taken ill, his nephew Damien, who can’t seem to move on with his life after his mother’s death, reluctantly fills in. But being host doesn’t seem such an unpleasant task when the lovely Tess, who has been dumped by her fiancé and has sworn off men, arrives with her aunt and uncle. Throughout tradition holiday festivities, conversations center about missing items. Who is the real thief? The ghosts? A party attendee? The developing romance between Damien and Tess warmed my heart, while the mystery piqued my curiosity. Don’t miss this fun read!" "This is a delightful, delicate tale, full of seasonal joy and happiness. Through Tess and Damien’s eyes we experience the Regency Christmas customs of gathering greenery, making decorations, lighting the yule log, and going on sleigh rides. The spirits of the inn also play their part, teasing and healing in equal measure. The mysteries of the ghosts and the missing trinkets are finally resolved in satisfying style, with Tess and Damien looking forward to the New Year together. I hope my new novella, Blessings and the Thief, gives you pleasant moments to rest and enjoy during a busy holiday season! Three favorite Historical Romances eBooks on Kindle Countdown until October 23rd. Check them out today on Author’s Central. 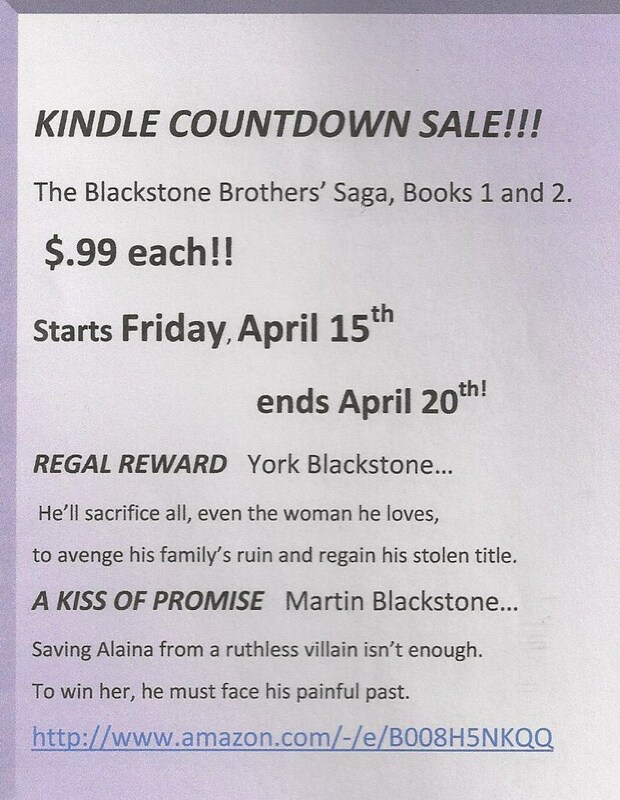 Just click on the link for the book you like and it will direct you to the sale price! 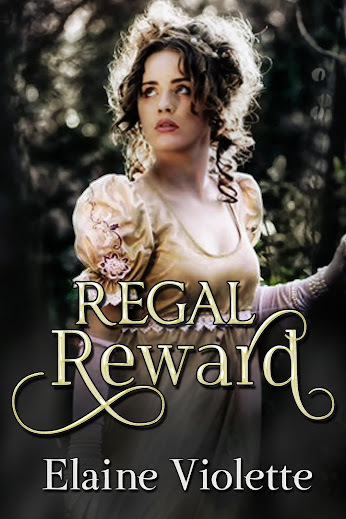 Regal Reward, A Kiss of Promise, and A Convenient Pretense are now available in both print and eBook. Romance Books Giveaway!! It’s a Great Day to run a Contest! Readers, simply subscribe to my newsletter to enter. You can win a collection of 5 Historical Romances from Best Selling authors mailed to your door. Hear more about my upcoming releases too! Sign up on my mailing list to enter today. Contest closes August 23rd at 8 a.m. Drawing on August 25th. When I create a story, it begins with a dramatic circumstance that impels me to write. Almost immediately, my characters’ features come to mind. I imagine their appearances, their personalities, and their motivations, even their initial paths and their final goals come pretty easily. The hard part comes in designing their circuitous journey through the mazes of uncertainty, secondary characters’ interferences, and unexpected hazards and crises along the way. What I see as the most important and what I feel I know well, is my characters’ hearts. My characters, however, sometimes prove me wrong. They develop characteristics I didn’t plan on at original creation. They might speak to me in the most unusual places—in a dream, in the shower, on a walk, or in the midst of baking cookies. They tell me where they want to go, or argue with me if I’ve placed them in a situation that isn’t of their choosing. 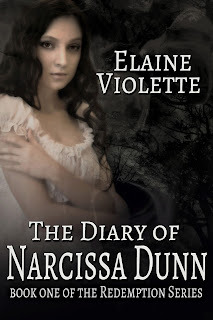 Recently, I changed the cover of my newest historical fiction release, The Diary of Narcissa Dunn. Throughout the time it was promoted and published, I had a niggling feeling something wasn’t right, but it appeared to be well received. My discomfort remained despite my attempts to shrug off the feeling. It took me some time, but I finally realized my main character, Olivia, was not happy. She is the one suffering in the story; she is the one having strange recurring dreams that make little sense to her; she is the one who is being deceived by the one person she should trust with her life, and she is the one being forced into a marriage not of her choosing. Yet, she wasn’t on the cover. I finally got it. It didn’t matter about high sales, it didn’t matter if I heard varying opinions, what mattered is feeling comfortable that I had done the best for my character; that I could ease my character’s strife and, perhaps, cause readers to go along on her journey and root her on to find the love she deserves. She is now on the cover, appealing to the world to solve the mystery of her recurring dreams and to help her overcome her worst nightmare, the loss of all she holds dear. Olivia must discover the secrets hidden in Narcissa’s diary, secrets that will bring her unimaginable sorrow before joy can emerge from its depths. Olivia must choose her own path, not only in her story, The Diary of Narcissa Dunn, but as she continues her journey in the upcoming sequel, Seeds of Hope. Yes, an author’s words attempt to manipulate a character’s actions, but the characters can speak louder and the author must, humbly, follow their lead. I love to write, but sitting at the computer becomes really difficult at this time of year. There's yard work, planting flowers, cleaning deck furniture, washing windows, or just getting out in the sun! I'm sure many of you can relate. Authors need to write. It's in our DNA, while at the same time, the tug to do so many other things that need our attention pulls us away from the computer. As I write this, my body says go for a walk, my mind says finish planting those flowers, make that banana bread with those overripe bananas sitting on the kitchen counter. So, today I plan to take a walk, make that banana bread to make my husband happy, and make some phone calls I've avoided. Oh, drop my bike off at the bike shop! Perhaps the flowers could wait one more day. But, I must carve out time to write. I always remember this lovely Polish author I met years ago at a conference say, "Write every day, even if it's only one sentence." Yes, even if it's only one sentence... That may be all that gets done today, but I hope not! The Diary of Narcissa Dunn. Ebook available now on Amazon! Alaina's story takes the reader from the comforts of her London townhouse to the streets of Boston in the company of a ruthless scoundrel. I am happy to share the latest 5 star review. 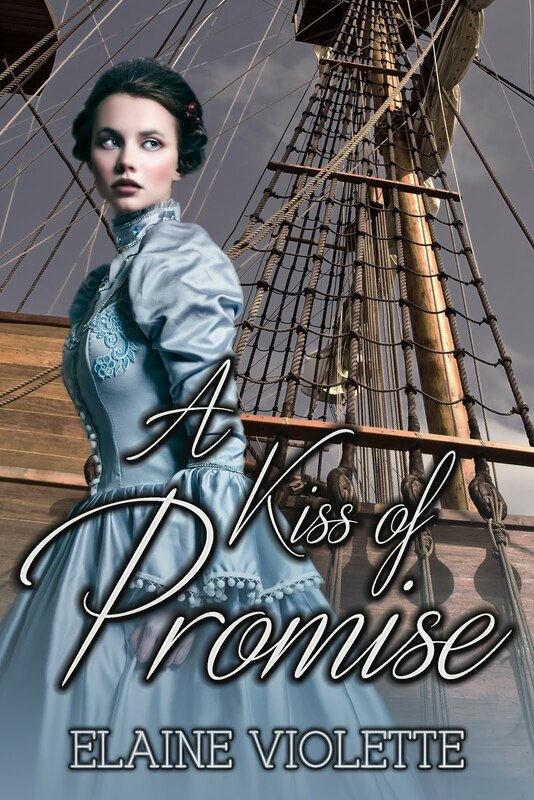 "A Kiss of Promise is a great study in true love vs family loyalty.